Removing junk from home or office has always been a tedious task. Aside from being time consuming, nasty junk can have millions of bacteria in them, which might transfer on various parts of home. You don’t want your family getting sick, and so do we. By booking your junk removal in New York City at 1-844-JUNK-RAT, you’re confident that your home is clean, junk-free, and germ-free. 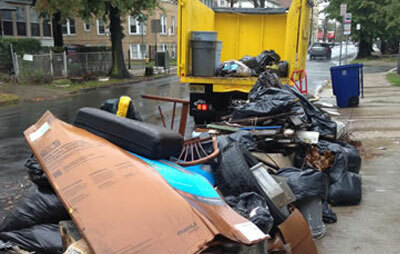 1-844-JUNK-RAT is a local junk removal company that delivers outstanding junk removal in New York City without the hefty price tag. Based on our surveys, we are 25% lower than leading competitors. This means getting our services gives you 25% savings every single time.